1080 Islay Street, Duncan, B.C. 1080 Islay Street was built circa 1912 and is a good example of a modest Arts & Crafts style house of the period. 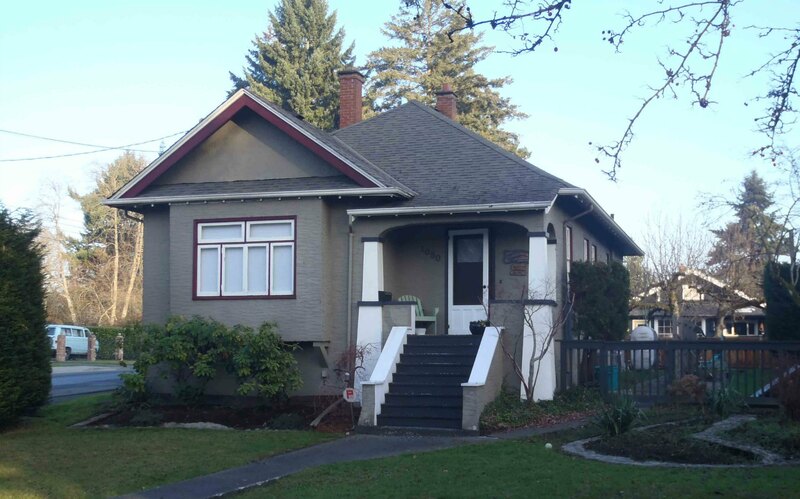 This house has been placed on the City of Duncan Heritage Building Inventory. 1080 Islay Street was built circa 1912 for Wilfred Corbishley, who ran a heating and building supply business in Duncan. He also served on Duncan City Council. Stucco has been applied to the exterior of this house, which is an alteration from its original wood exterior. In the 1940s and 1950s, stucco was applied to the exterior of many earlier houses and this house is an example of that mid-20th century trend.